Oil and Gas waste water includes small amounts of free or dissolved hydrocarbons and solids that must be removed before the water can be re-used, injected or discharged. The level of removal (particularly for hydrocarbons) and disposal options are typically specified by the client. Treatment to remove dispersed hydrocarbons in the form of oil droplets from water relies on gravity separation, with addition of our unique coalescing plate pack internals. 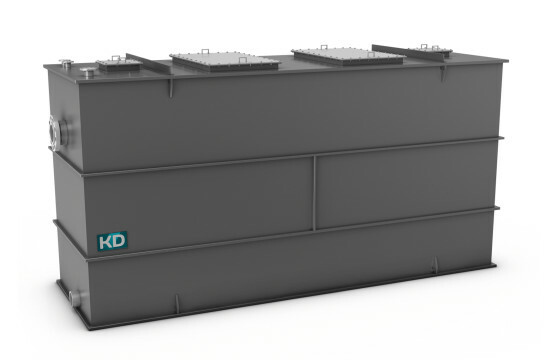 Within the KD separator, so called Skimmertank the process of coalescence takes place; that is, small oil droplets collide and form bigger droplets.